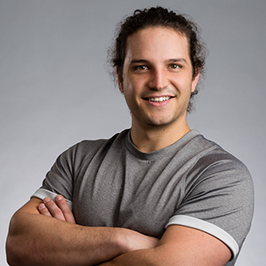 Cole Vincent is a NSCA Certified Strength and Conditioning Specialist whose lifelong passion for sport and performance has brought new energy to the Canadian Sport Centre Manitoba. In the last five years, Cole has developed his coaching and mentorship skills with the Boys and Girls Club of Winnipeg, facilitating numerous youth sport programs in the Gilbert Park area while working towards his undergraduate degree. Cole completed a Bachelor of Science in Kinesiology (Exercise Science) in 2017 at the University of Winnipeg, finishing on the Dean’s Honour List as a ‘student of highest distinction’. During his final year he began a strength and conditioning internship with the Canadian Sport Centre Manitoba, which allowed him to hone his coaching skills with a variety of high performance athletes in sports such as taekwondo, wheelchair curling, basketball, rowing and track and field. Cole continues to pursue a career in athlete development through not only his strength and conditioning work with CSCM’s wrestling and diving athletes, but also in his role as the event coordinator for RBC Training Ground in Manitoba. RBC Training Ground, a nationwide talent identification program for Canada’s next generation of Olympic athletes, has seen great success in its first year in Manitoba thanks to Cole’s dedication, effort, and experience. Outside of his current work with CSCM, Cole works as a strength and conditioning coach for the Oak Park Raiders high school football team. On Saturday, March 17th at the Dakota Community Centre, Olympic officials will be searching for young athletes with raw talent that could be future Olympic stars.